The Specialist reports to the Chief, HIV and AIDS for general guidance and direction. The Specialist supports the Chief in managing the Section, contributing to knowledge management/innovation and developing/preparing HIV programmes/projects. The Specialist provides authoritative technical guidance and management support throughout the programming processes to facilitate the administration and achievement of concrete and sustainable results of HIV programmes/projects according to plans, allocation, results based-management approaches and methodology (RBM) and UNICEF's Strategic Plans, standards of performance and accountability framework. Participate and/or conduct/update situation analysis and assessments on HIV related issues to ensure that comprehensive, relevant and evidenced-based data for the country/region are collected to guide country office HIV programming, monitoring and delivery of programme/project services. Participate in strategic programme discussion to provide input, advice and operational support to the development of an integrated HIV programmes/projects (within the country and/or UNDAF programmes). Formulate, design and prepare HIV (and/or large sector/s of) programmes/projects proposal, ensuring alignment with the overall UNICEF's Strategic Plans and Country Programme and coherence/integration with UN Development Assistance Framework (UNDAF), regional strategies and national priorities, plans and competencies. Establish plans of action, programme goals and results, using results-based planning methodology and terminology (RBM). 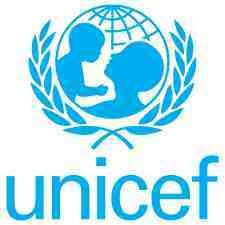 Prepare HIV programme documentation for Country Office Programme recommendation ensuring alignment with the overall UNICEF's Strategic Plans, regional strategies and national priorities, plans and competencies. Consult and collaborate with internal and external colleagues and partners to provide technical and operational support to programme planning, management and implementation and to ensure synergy, integration, coherence and harmonization of HIV programmes/projects within the country programme, donors' development strategies/policies, country level national priorities/competencies and UN system development interventions/initiatives. Plan and/or collaborate with internal and external partners to establish benchmarks, performance indicators and other UNICEF/UN system indicators and measurement to assess/strengthen performance accountability, coherence and delivery of concrete and sustainable results in HIV programmes. Participate in monitoring and evaluation exercises, programme reviews and annual sector reviews with government and other counterparts to assess progress and to determine required action/interventions to achieve results. Prepare/assess monitoring and evaluation reports to identify gaps, strengths/weaknesses in programme and management, identify lessons learned and use knowledge gained for development planning and timely intervention to achieve goals. Plan, monitor and control the optimum/appropriate use of programme resources (financial, administrative and other assets) certifying/confirming compliance with organizational rules, regulations/procedures, standards of accountability and integrity and donor commitments, and ensuring timely reporting and liquidation of resources. Provide technical advice and guidance to key government officials, NGO partners, UN system partners and other country office partners/donors on programme policies, strategies and best practices and approaches on HIV and related issues to support programme development planning, management, implementation and delivery of results, including for UNICEF's support to HIV prevention and treatment in Unguja and in the Southern Highlands. Participate in programme strategic discussions/planning to provide technical advice/contribute to policy discussions and agenda setting to promote HIV interventions especially in the areas of gender inequality, social inclusion, human rights and humanitarian situations to ensure that at risks and vulnerable population are fully covered in times of greatest needs. Build and strengthen strategic partnerships with health sector government counterparts, national stakeholders and global partners/allies/donors/academia through active networking and advocacy to exchange knowledge/expertise, leverage resources/action, build alliances and engage participation of communities in programme design, delivery and demand creation. Develop strategies and/or prepare communication and information materials for maximum impact and outreach to promote awareness, establish partnerships/alliances and to enhance resource mobilization for UNICEF HIV programmes/projects. Participate and/or represent UNICEF in appropriate inter-agency (UNCT) discussions and planning on HIV and related issues to ensure organizational position, interests and priorities are fully considered and integrated in the UNDAF process in development planning and agenda setting. Collaborate with inter-agency partners/colleagues UNDAF planning and preparation of HIV programmes/projects. Promote critical thinking and introduce technological and programme innovations and approaches to accelerate results and increase coverage, access and quality of high impact HIV treatment and preventative interventions. Keep abreast, research, benchmark and implement best and cutting edge practices in HIV management methodologies and information systems. Institutionalize and share best practices and knowledge learned. Organize, plan and/or implement capacity building initiatives to enhance the competencies of clients/stakeholders to promote sustainable results on HIV related programmes/projects. An Advanced University Degree in public health, pediatric health, family health, health research, global/international health, health policy and/or management, environmental health sciences, biostatistics, socio-medical, health education, epidemiology or other health and social related sciences is required. A minimum of 8 years of professional experience in public HIV/AIDS planning and management and/or in relevant areas of health care, health emergency/humanitarian preparedness, at the international level some of which preferably in Tanzania or another developing country is required. Relevant experience in HIV/AIDS programme/project development and management in any UN system agency or organization is an asset. "UNICEF is committed to diversity and inclusion within its workforce, and encourages qualified female and male candidates from all national, religious and ethnic backgrounds, including persons living with disabilities, to apply to become a part of our organisation."